This project was funded in FY2012 through the National Fish Habitat Action Plan. Eelgrass meadows support complex trophic food webs and provide habitat for the forage, shelter and juvenile development of fisheries species. However, this habitat is declining in part due to damage from boating infrastructure. 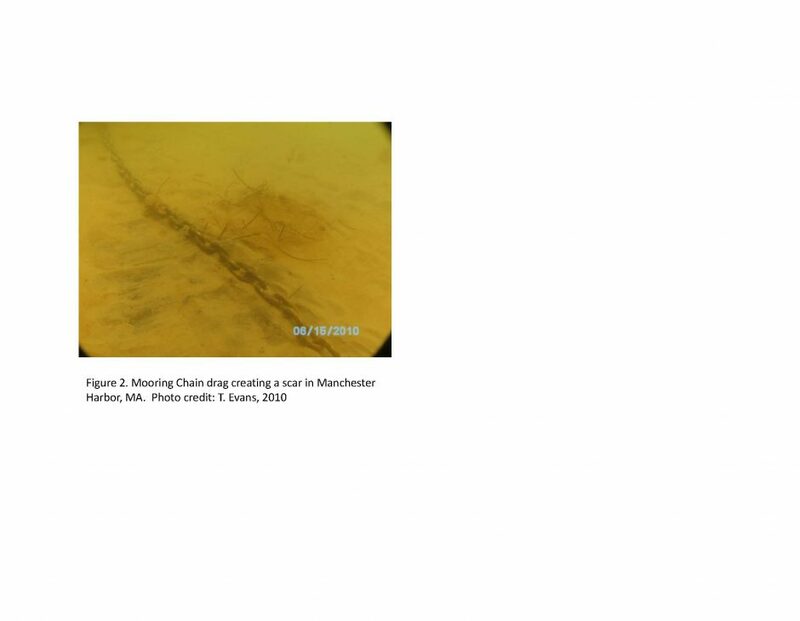 Traditional mooring chains drag on the seafloor, causing direct scour of eelgrass plants and degradation to the quality and function of eelgrass beds through increased turbidity. For this project, the Massachusetts Division of Marine Fisheries and partners restored 0.2 acres of eelgrass (Zostera marina) by replacing traditional moorings with elastic conservation moorings that minimize impacts to the seafloor by preventing chain drag. Text and photos provided by Massachusetts Division of Marine Fisheries.